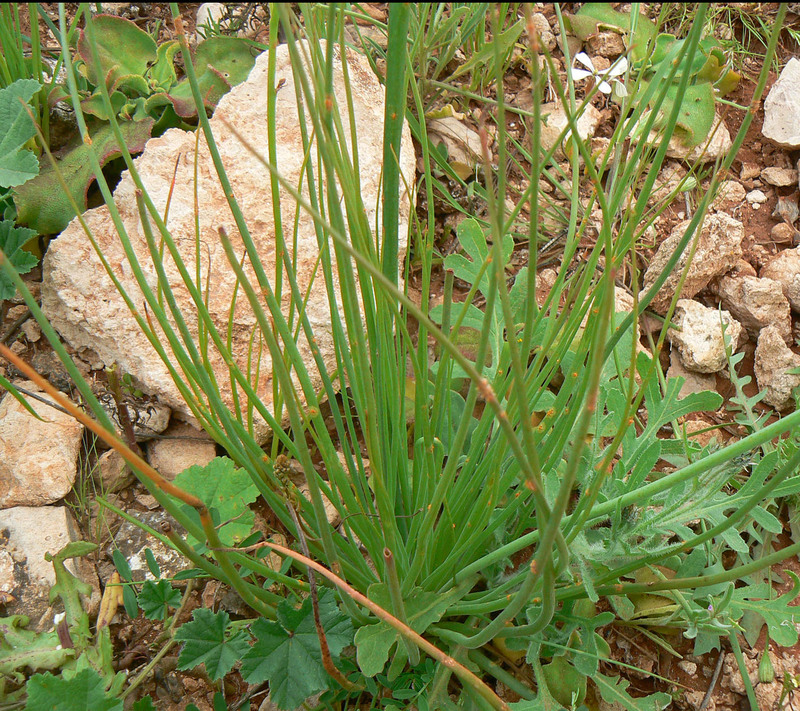 Synonyms: Asphodelus fistulosus subsp. tenuifolius (Cav.) 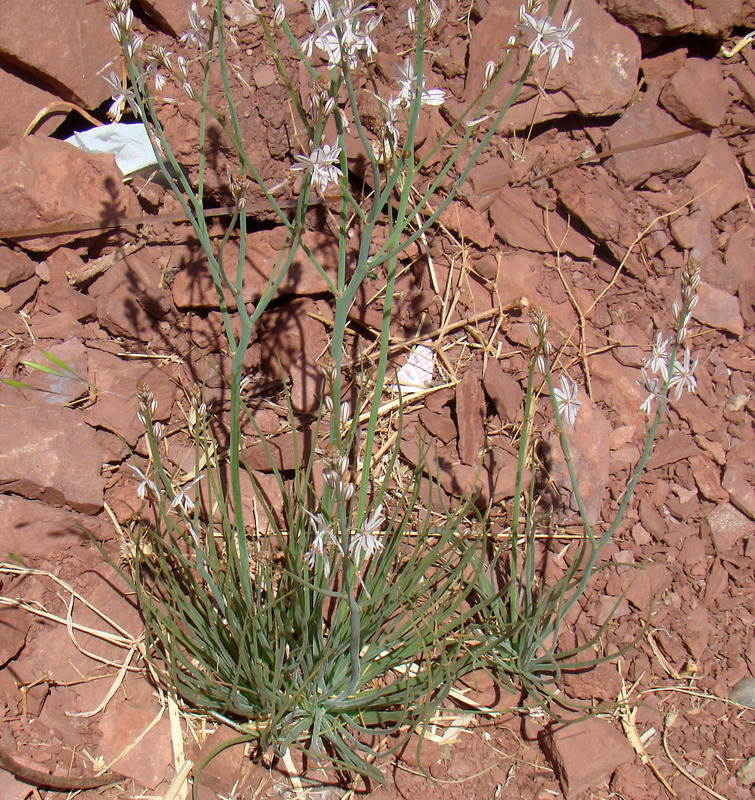 Richter, Asphodelus fistulosus var. tenuifolius (Cav.) 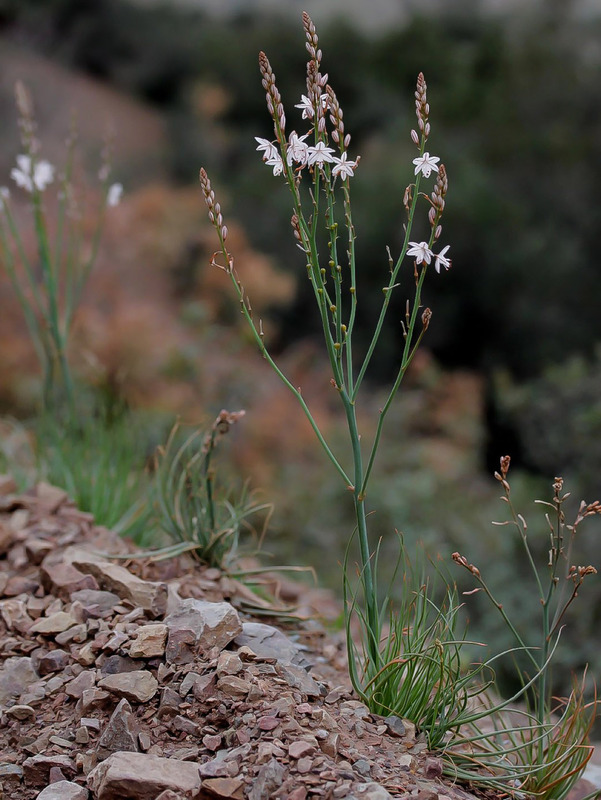 Baker, Asphodelus maroccanus Gand. 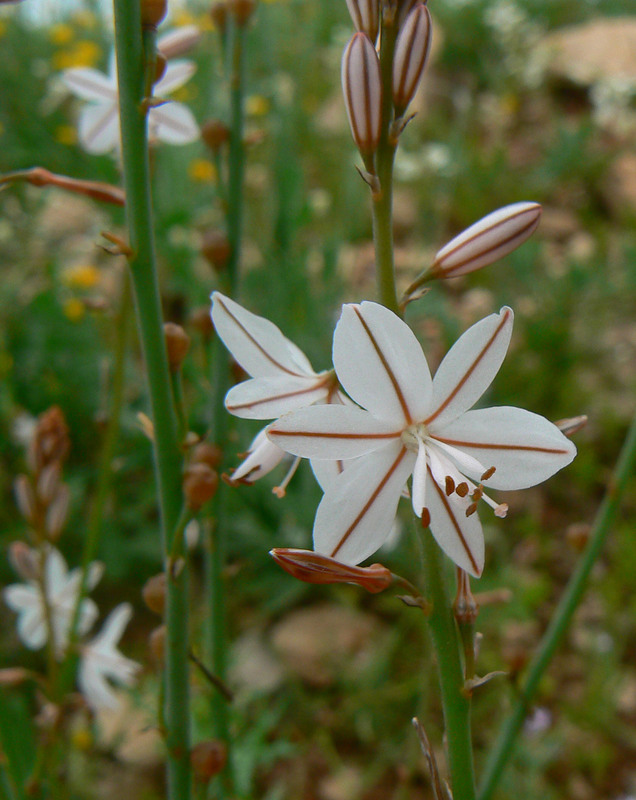 Asphodelus tenuifolius Cav., A. ayardii Jahand. & Maire and A. fistulosus L. are morphologically, genetically, and biologically different species (Diaz Lifante & Valdes, 1996). 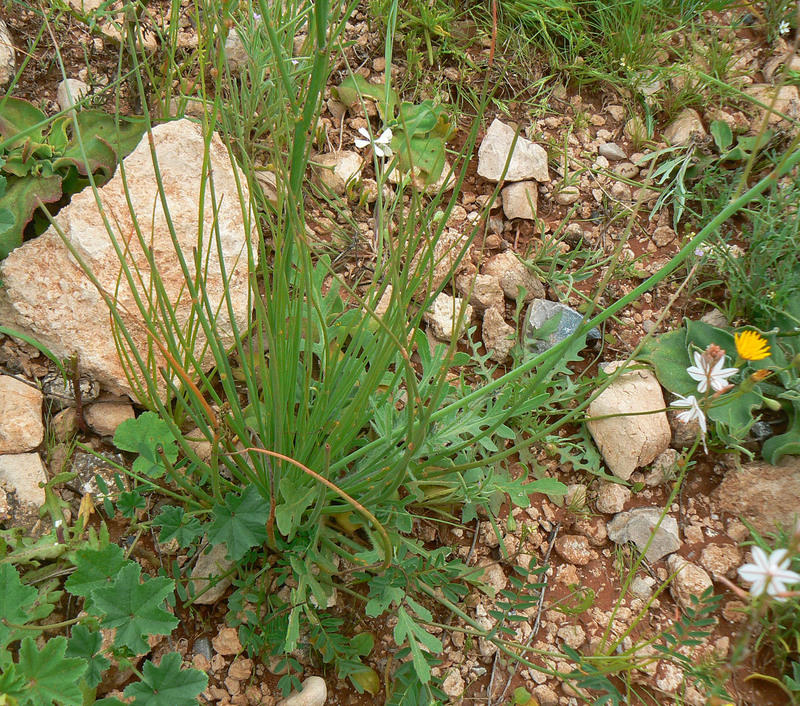 A. tenuifolius Cav. is a annual diploid species (2n = 28) and autogame. 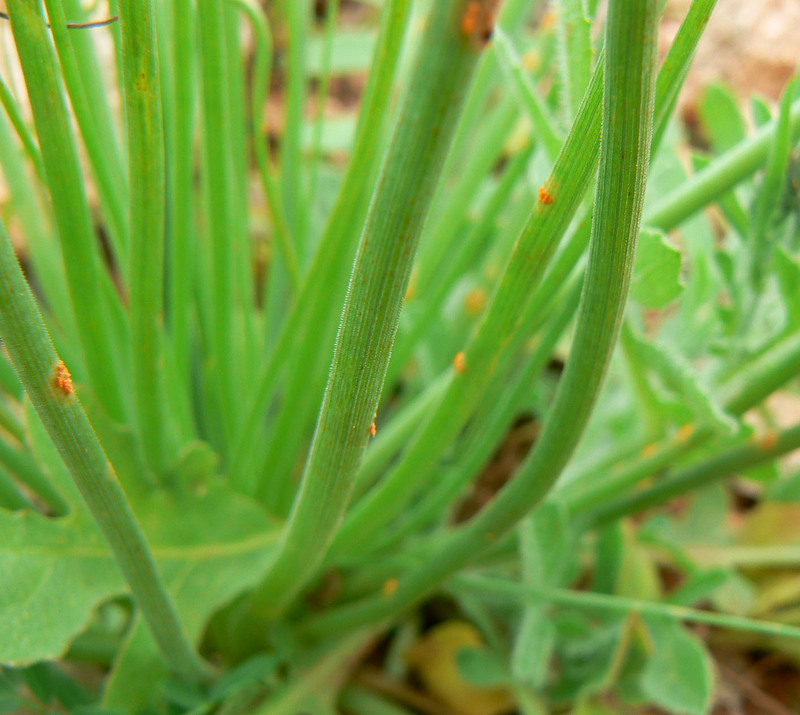 The scapes are scabrous at the base, rarely smooth. Tepals (3-)5-7.5(-8) mm long and capsules 3 à 4 (-4.5) mm long. Pedicel articulation of the capsule generally under the medium. 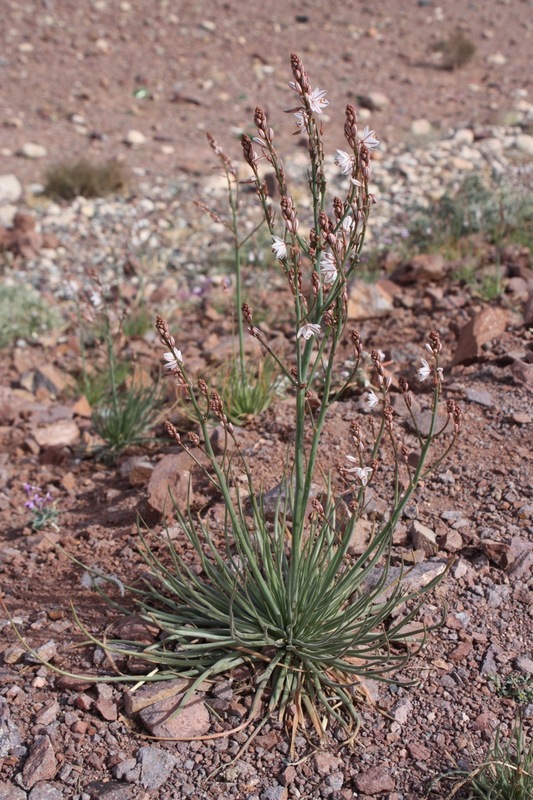 In the South-Western Morocco Asphodelus tenuifolius is the species most largely represented. Last modified on November 1, 2016 at 8:41:37 PM GMT. 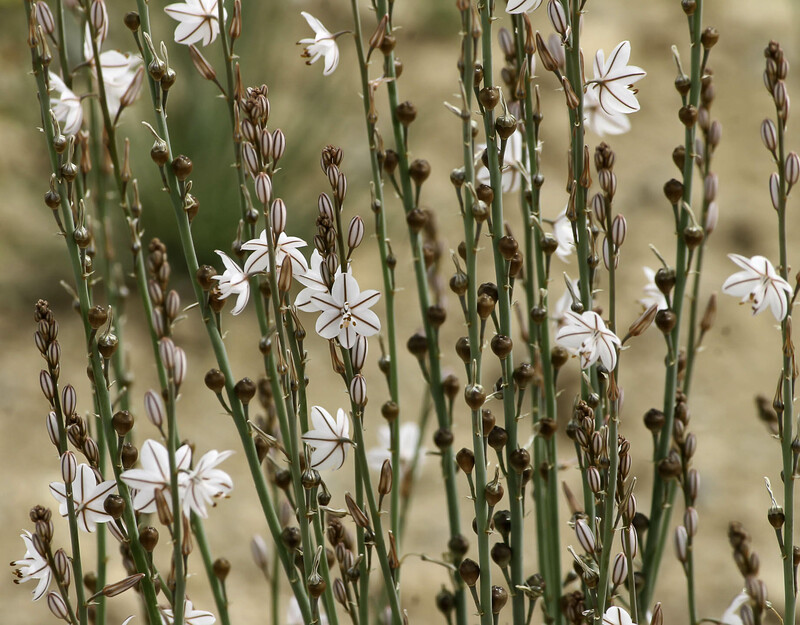 Species: All species of the Asphodelaceae familyAsphodelus acaulis Desf.Asphodelus ayardii Jah. & MaireAsphodelus cirerae SennenAsphodelus fistulosus subsp. tenuifolius (Cav.) 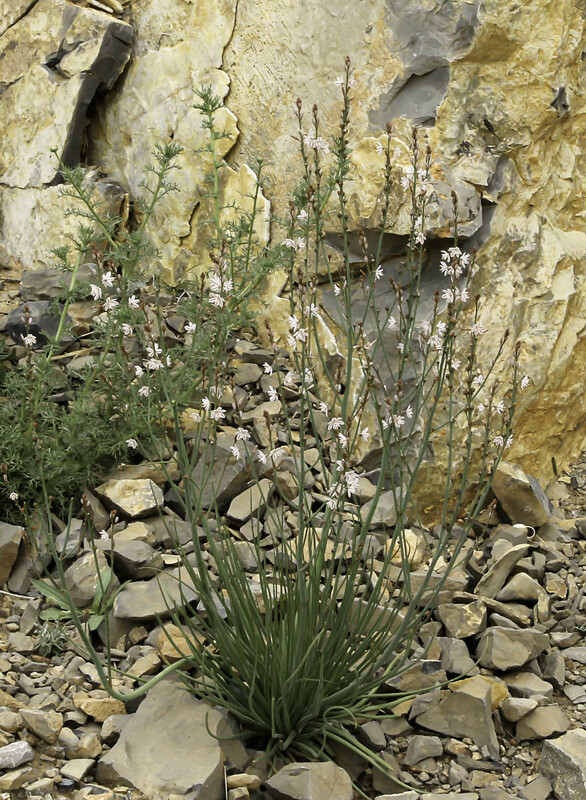 RichterAsphodelus fistulosus var. 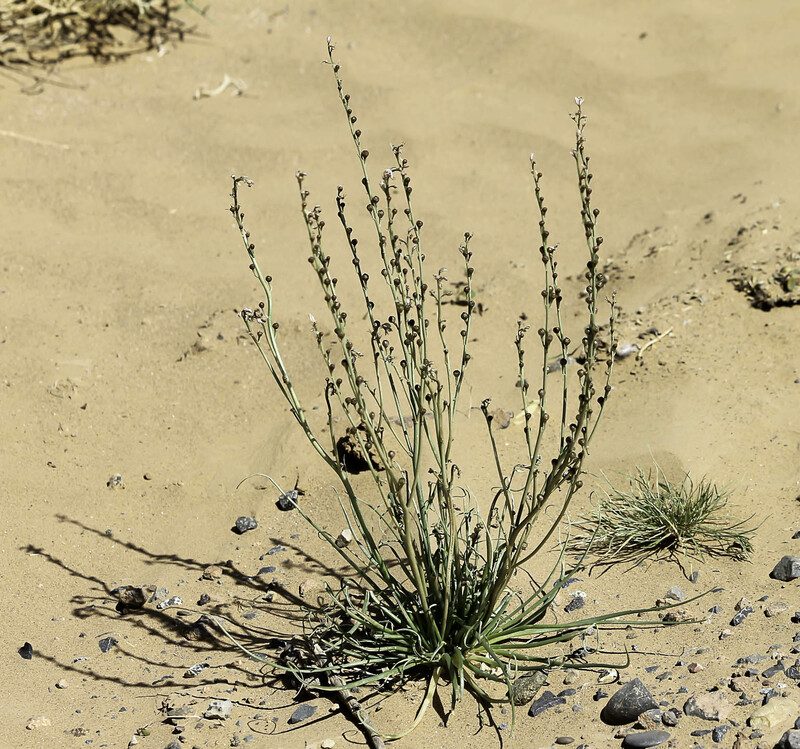 atlanticus Jah., Maire & WeillerAsphodelus fistulosus var. 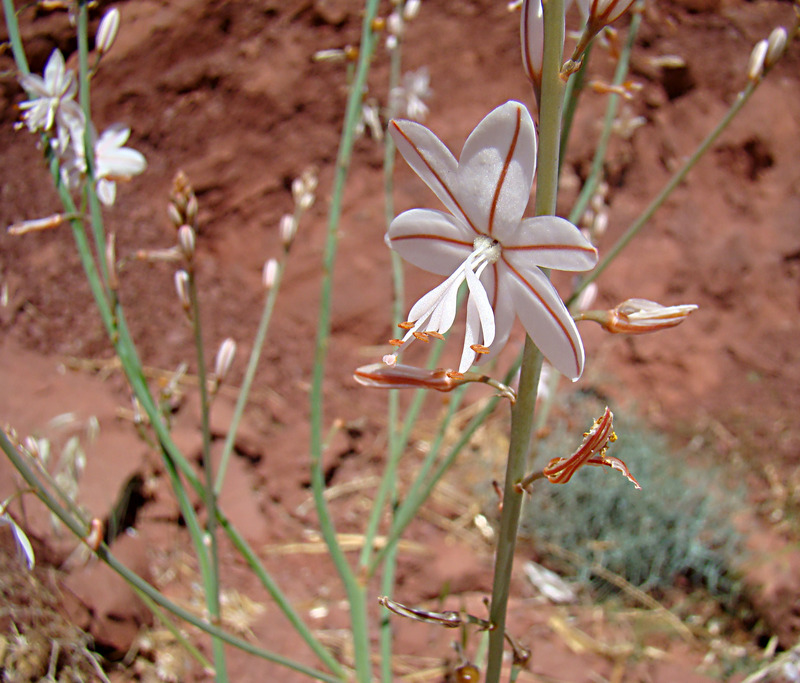 mauritii SennenAsphodelus fistulosus var. 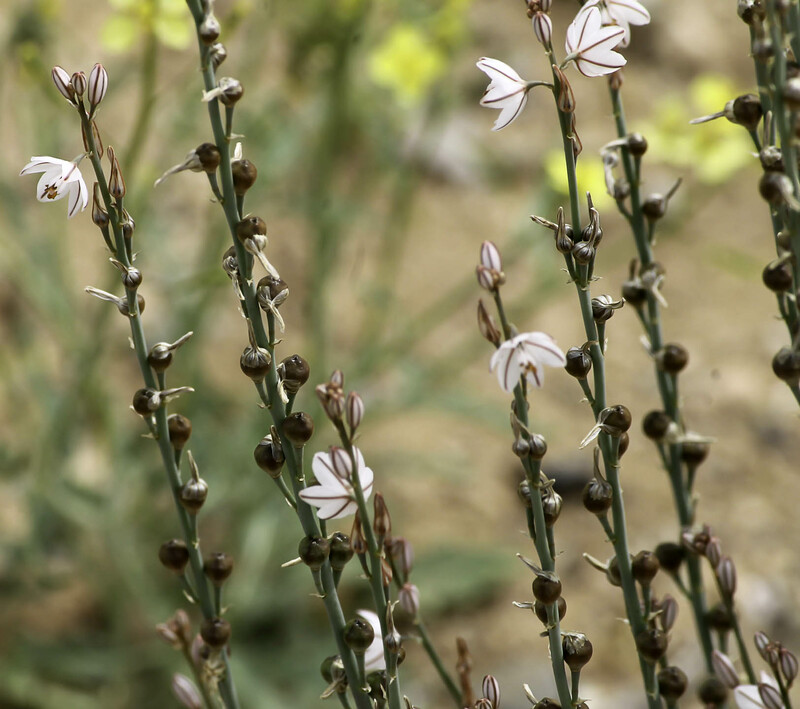 roseus (Humbert & Maire) PauAsphodelus fistulosus var. tenuifolius (Cav.) 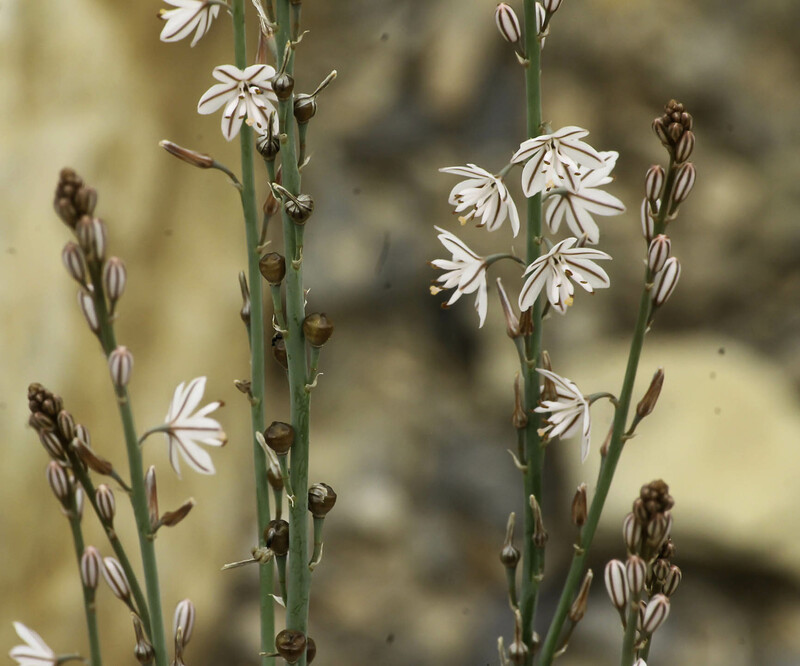 BakerAsphodelus maroccanus Gand.Asphodelus microcarpus auct.Asphodelus pendulinus Coss & Dur.Asphodelus ramosus L.Asphodelus refractus Boiss.Asphodelus roseus Humbert & MaireAsphodelus tenuifolius Cav.